Number 16 of the Challenge was inspired by a friends Facebook Page Post. Thank you Jill for letting me use your wonderful photos. Cool Mornings, afternoon sunshine, Fall has most definitely made its arrival known. Enjoy some apple sider and dust off the fall sweaters. 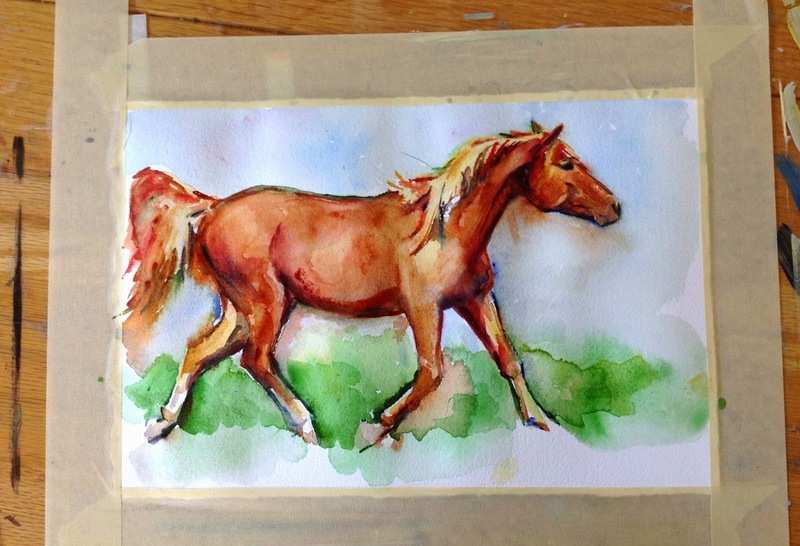 Your passion for animals comes through in your paintings. This is a beautiful horse!